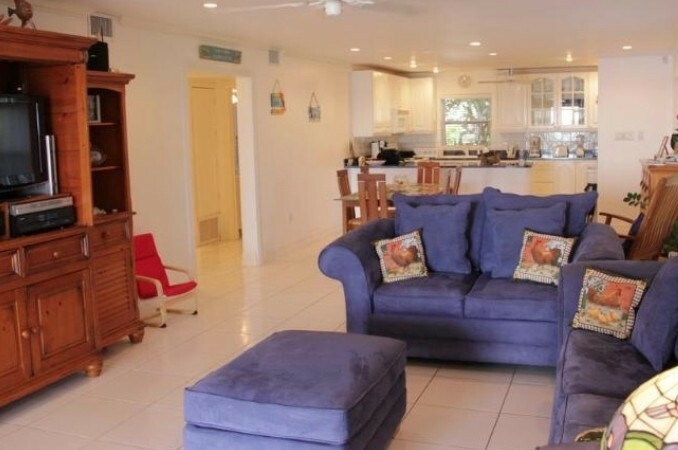 This 2 bedroom, 2 bathroom, ground floor beach front condo is situated on a pristine powdery white beach only minutes from George Town and the airport. 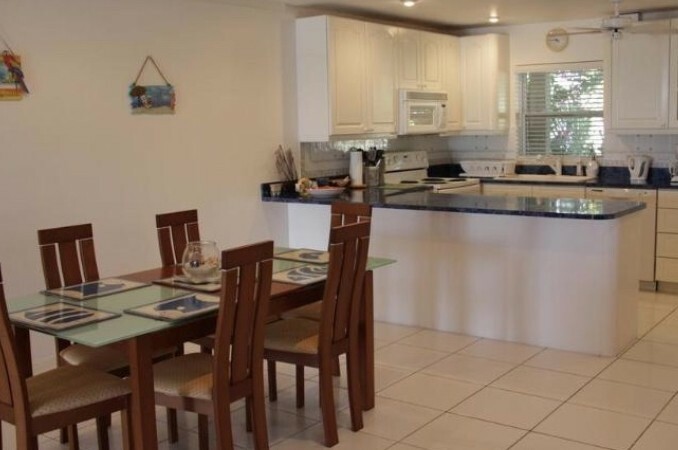 As this complex is mostly residential it is quiet and secluded away from from the hustle and bustle of Seven Mile Beach but with a beach equally comparable, making Coral Bay Village the best of both worlds. 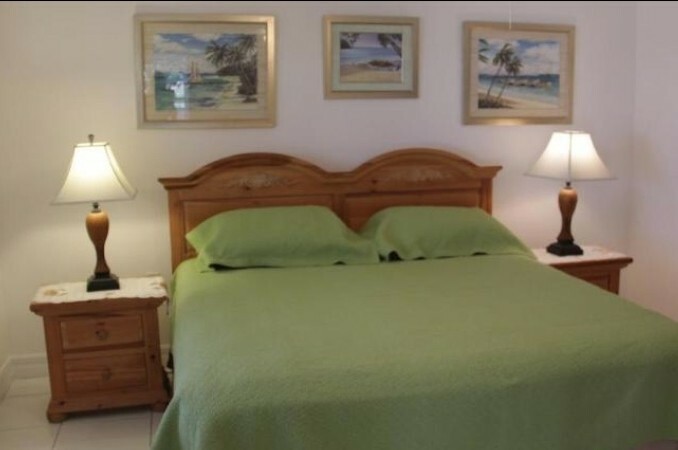 If you enjoy snorkeling this is an ideal location with a fabulous reef near by. 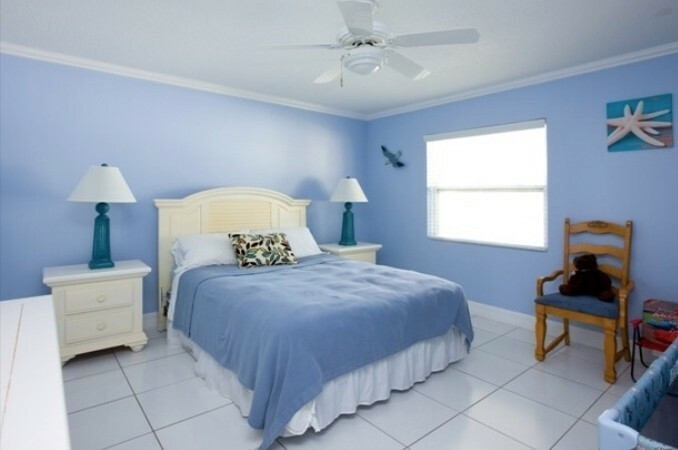 There is a fresh water pool and tennis court directly across the road from the complex available for your use. 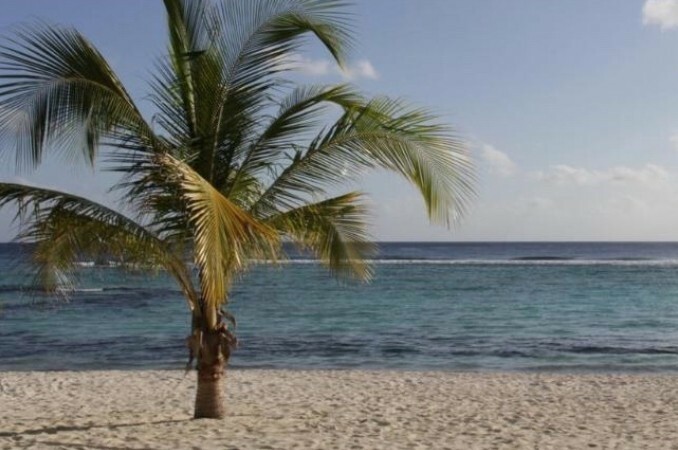 There is nothing more relaxing than the sound of the waves gentle breaking on the reef whilst sitting in shade of a palm tree. With Seven Mile Beach and George Town just minutes away you can dine at one of the many restaurants, enjoy the buzzing night life at a varied choice of bars or spend your day wandering around the gift or jewellery shops. 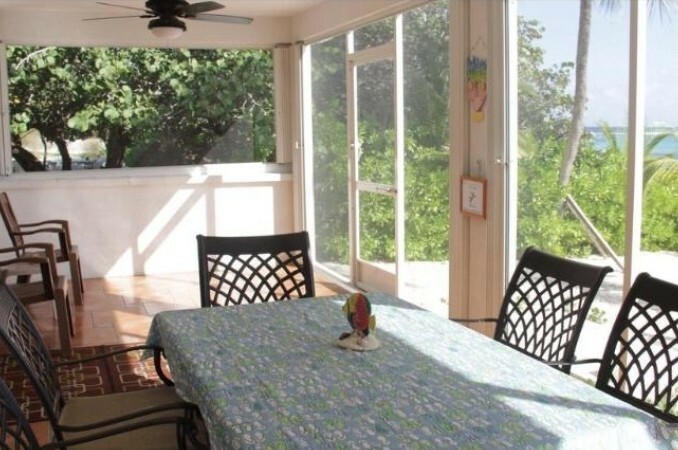 Remember to bring your camera to capture the spectacular view of the shimmering sea that you have from your spacious screened porch. Imagine each morning ambling along the beach, finding shells with the sea lapping at your toes. Feel yourself becoming an islander as your slip into the easy island pace of life and coin the local phrase 'soon come'. You don't need a watch, you don't have a schedule, switch off your phone and bury your feet in the soft cool sand, you have arrived in paradise. 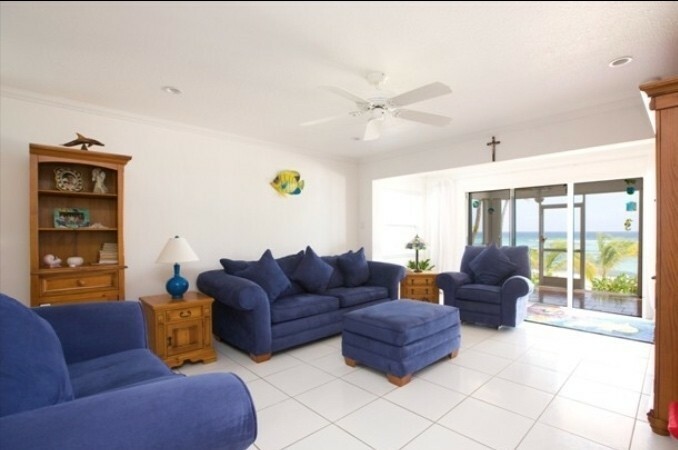 What did you like most about your stay at Beachfront Coral Bay Village #100006? The location, the price, the size of the unit. Full of Beans lives up to its name; a lively, fun, friendly, unpretentious cafe that's chic yet cozy, cool and cheerful; and everyone feels comfortable. Creative daily specials supplement the healthy, flavourful menu. Vegan, vegetarian and sugar free balance out the delectable BBQ pork and Thanksgiving turkey paninis. Nestled under a big Poinciana Tree along one of the busiest roads on the island you will find Every Blooming Thing. Almost hidden as it looks like another old Cayman Style home but in fact it is packed with tons of character. Started from what was once a love for gardening, EBT has since blossomed into a fun, whimsical place full of charm. Specialising in Permanent Tattoos, Body Piercing, and providing a wide selection of quality body jewelry and apparel. IT'S SUGAR is a trendy sweets shop that lives at the intersection of attitude and fun. It's a place about joy, taste, color and sound. Sweet and sour, rich and creamy – that's how life should be, and that's how it is at IT'S SUGAR. Hours Of Operation: Monday-Saturday until 6pm. Häagen-Dazs, the leading brand in premium ice cream, offers a sumptuous selection of fine ice cream, sorbets and smoothies. Indulge in tempting flavours including Dulce de Leche and Vanilla Caramel Brownie or enjoy a guilt-free treat like Lemon, Mango or Raspberry Sorbet. Haagen-Dazs also serves coffees and soft drinks. Address:South Sound, George Town, Grand Cayman, Cayman Islands. 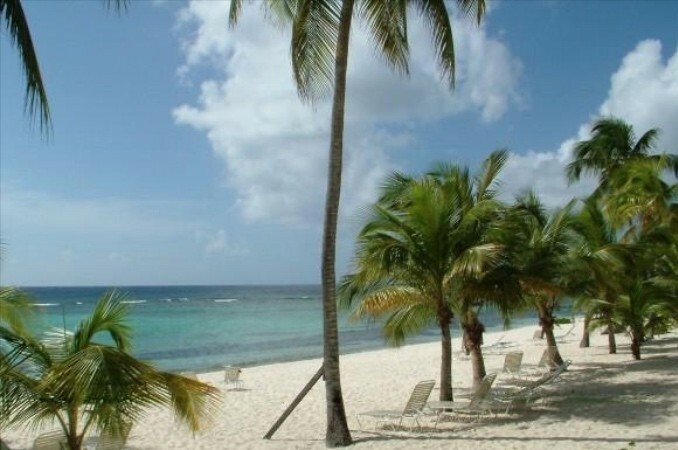 Located in South Sound, Dart Family Park is a tropical oasis in the heart of Cayman’s capital. Integrating the sea, land and gardens, it is designed to be a host of ‘parks within a park’. 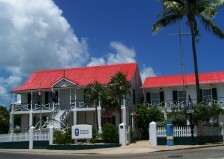 Address:George Town, Grand Cayman, Cayman Islands. A great location to just walk around. Check out Cayman's history and cultural or do a little window shopping for Duty Free or grab a bite to eat at one of the waterfront restaurants. 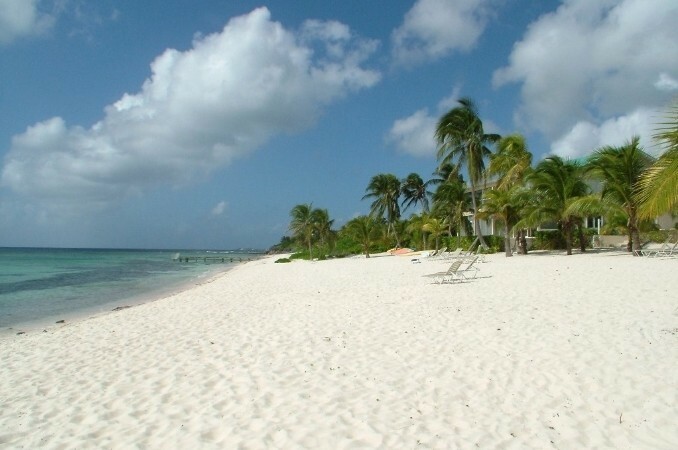 This beach is located off Shamrock Road in the Spotts Newlands area of Grand Cayman. Visitors can get to the beach by bus or car. There is a limited amount of parking and people often park across the street and walk to the beach. Our attraction presents some of the oldest known skills in the Cayman Islands. The Craft Market sits by the sea in a festive, park-like setting just a short stroll from the cruise ship dock in George Town. Located right on the water’s edge, this relative newcomer to Cayman’s restaurant scene focuses on fresh seafood prepared with Caribbean flair. With a casual Caribbean ambience, choose to dine on the deck overlooking George Town harbour, or pull up a stool and enjoy the view from the restaurant’s bar. Mise en Place Professional Catering provides service to suit all your culinary desires, whether you’re planning a beach BBQ, an elegant reception of Hor D'oeuvres or a five course plated dinner for a special occasion. Chef Sean Collins and the team of professionals at Mise en Place offer the most personalised and flexible service, from corporate entertaining to personal chef hire in your own home or rental villa. 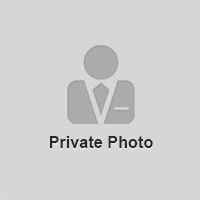 Address:Waterfront, George Town, Cayman Islands. The Spectacular View, Delicious Menu, Cool Island Drinks and Fun Service create the perfect restaurant experience. 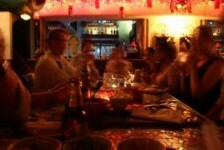 Agave Grill, the only authentic mexican cantina in the Cayman Islands. We use age old recipes along with unique technique, to bring you the complex flavours found throughout the regions of Mexico. George Town, Grand Cayman, Cayman island. 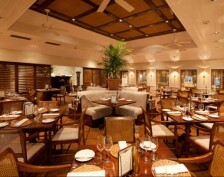 Here, on George Town's fringe, you'll find perhaps the Cayman Islands' most extraordinary restaurant. Saturday 10:00 am – 2:00 pm. The National Museum in George Town is both a natural history as well as cultural history museum. 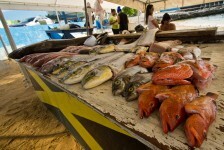 It is one of more educational of the Grand Cayman attractions that you can visit on your Caribbean vacation to Cayman. The natural history portion of the museum displays fantastic birds and fauna that are native to the Cayman Islands. In addition, the cultural history half of the site demonstrates the lush heritage of the Caymanian people. Atlantis Submarines International has recently achieved the unparalleled milestone of hosting more than 12 million passengers worldwide. Today Atlantis is the world leader in tourist submersibles, with operations in nine special locations around the Caribbean and Pacific. 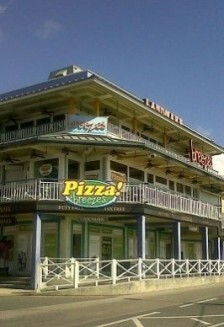 Address:George Town, Grand Cayman, Cayman Island. The Jolly Roger is an authentic replica of the 17th century Galleon called the Nina. 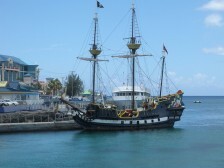 The Jolly Roger offers afternoon Cayman Pirate encounters & Sunset Evening cruises. You can have dinner or just cocktails. The price includes an open bar for your enjoyment.